Support text menu title and frame menu title. If you want to add chapter for your video or create submenu then the app is your best choose . You can burn videos and photos to DVD, the app is professional dvd creator tool . 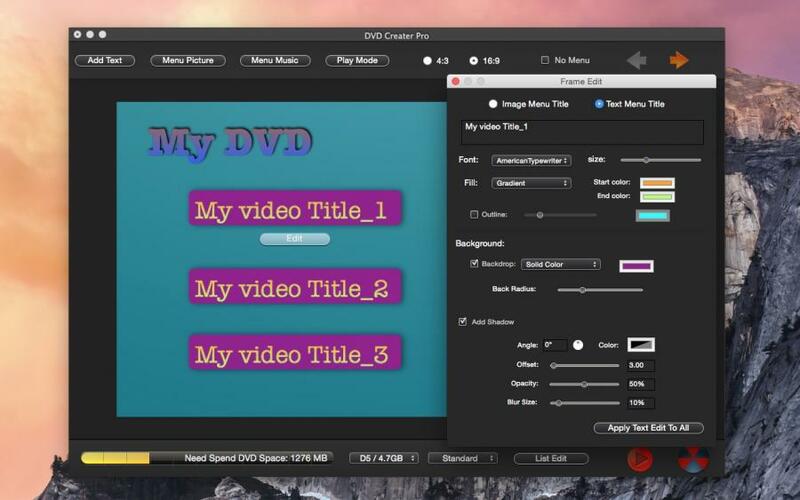 DVD Creator Pro - Video Photo Burn is a very easy-to-use DVD maker tool. This application can custom menu background music and background picture, create submenu, add chapters . Besides, this DVD burner lets you edit videos using tools like trim, crop, rotate, watermarks, add subtitle etc . Get DVD Creator and share all your movies with family and friends now. Create submenu for your menu title, add chapters for your video . Choose from 4 output formats: DVD disc, DVD folder, DVDMedia and ISO files to burn. Rotate, crop and trim video files to remove letterboxing, crop or capture your favorite clips. Choose language for your video. Burn almost all video formats . Create photos slideshow and burn DVD . 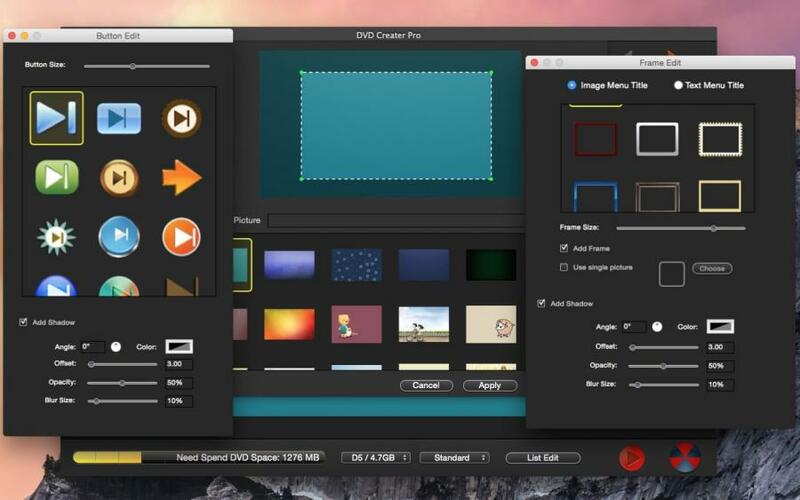 DVD Creator Pro - Video Photo Burn support video formats (AVI, Mp4, MOV, M4V, FLV, WMV, MKV, RM , MPEG, TS, RMVB, TP, MTS, M2TS, MPG, Dat, 3GP, 3G2, 3GP2, dv, mod; f4v, ASF and many more). Supports almost all popular videos' formats to burn into a DVD. 3. Burn virtually any video, photo and audio. 5. Create photos slideshow . 6. Add chapter for your video . 7. Add your own background music/picture, set title thumbnail, etc. to customize the DVD menu as you like. 9. Support DVD 5 and DVD 9 to burn videos. 10. Choose No Menu mode will loop play your videos . 11. Support text menu title and frame menu title . If you have some problems,Please send an email to utteam@126.com I will solve these issues as quickly as possible.